JerusalemPerspective.com (JP) is an online journal dedicated to better understanding Jesus’ life and teachings within his historical, cultural, religious and linguistic contexts. 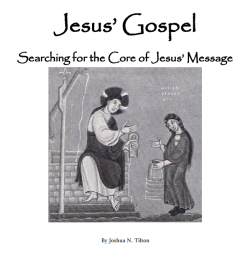 To achieve this mission JP strives to bring to a diverse audience of students, teachers, clergy, academics and laypersons the most accurate and up-to-date information about Jesus and the Gospels. JP will help its readers understand the cultural context of Jesus’ message through publishing articles focused on biblical archaeology, geography and ecology, ancient Jewish literature and ancient Jewish sects, Second Temple Jewish history, and the linguistic landscape of the land of Israel in the first century. JP will offer better, more authentic interpretations of those passages in the Gospels that have traditionally been misconstrued as anti-Jewish. JP will serve as a bridge between academia and the general public by bringing the best of scholarship concerning Jesus and the Synoptic Gospels to its readers. JP will serve as a bridge between Jews and Christians by highlighting the best of Jewish scholarship on Second Temple-period Jewish history, ancient Jewish literature, and the Jewish origins of Christianity. JP will carry on the legacy of scholarly excellence established by Robert Lindsey, David Flusser and Shmuel Safrai, founders of the Jerusalem School of Synoptic Research. Many of JP’s contributors have lived and studied in Israel, where they became familiar with the local geography and learned Hebrew fluently, and are able to interact with scholars who are active in the fields of archaeology, Jewish history, and post-biblical Jewish literature. JP’s collection includes articles by biblical languages expert Randall Buth, New Testament scholars R. Steven Notley and Brad Young, leaders in Jewish-Christian relations such as Marvin Wilson and Dwight Pryor, synoptic studies pioneer Robert L. Lindsey, professors David Flusser and Shmuel Safrai of the Hebrew University in Jerusalem, and many more. Click here to see the complete list of contributors to JP. 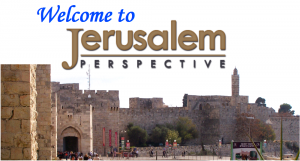 Founded by David N. Bivin and Jeffrey Magnuson, Jerusalem Perspective started in 1987 as a monthly, four-page newsletter. Over time, JP expanded to a bimonthly, sixteen-page, two-color publication, and eventually became a quarterly, forty-page, full-color magazine. At the end of 1999, after fifty-six print issues, JP transitioned to its current online format. The JP magazines are no longer available in print, but PDF versions of each issue are now freely available to all readers on the Twelve-year Index of the JP Print Magazine, which can be accessed by clicking here. Most of the articles originally published in the print magazine also appear on our website. JP is funded through membership subscriptions and charitable donations. Member support enables JP to maintain its web presence and produce new content, and keeps it free from annoying advertisements that distract readers and cheapen our message. JP is registered in Israel as a “small business,” and in the United States as a 501(c)(3) non-profit organization. Want to learn more about Jerusalem Perspective? Click here to visit our FAQ’s page.